Christmas came rather early this year! 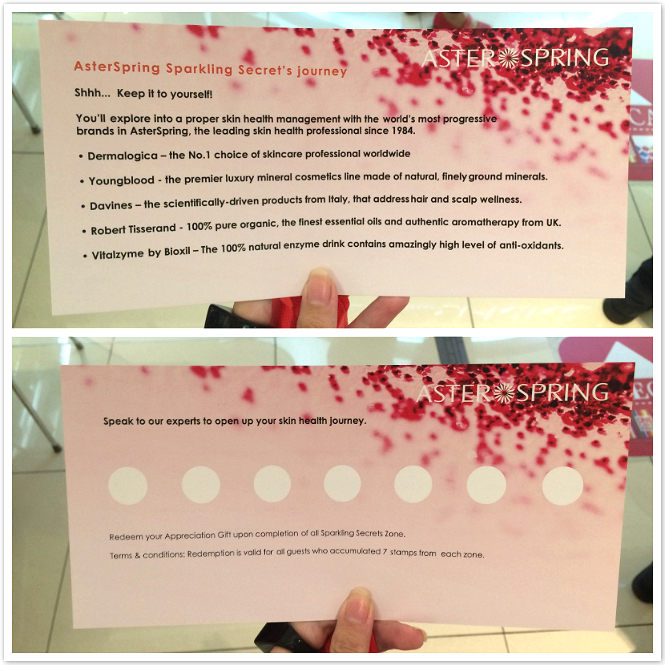 Thanks to AsterSpring, I've embarked on discovering their Sparking Secret's Journey last month and have learnt so many things about glowing skin health tips which helps beautify me from inside out. It was a fun event happened at AsterSpring One Utama centre and I saw so many familiar faces during the event. When I got AsterSpring's email inviting me to this event, I was a bit confused as it sounded like a journey to a trip, and yes indeed, it was a trip to rediscover how to be beautiful and glow radiantly from inside to outside as a woman who cherish and pamper herself. It was a rather informative event for me to gain more knowledge how to take good care of myself and look beautifully and be healthy. Vitalzyme, a 100% au-naturale enzyme drink suitable for daily consumption was introduced to us and I was amazed by its ingredients. 100% natural blend of 120 types of fruits and plants, combined with 54 types friendly bacteria, which provides your body various type of antioxidants, organic acids and phytonutrients for daily wellness. Vitalzyme was created with a 180 days triple fermentation process without any contains of alcohol, preservatives, artificial coloring, artificial flavoring nor sugar. It is a creation of an old-time, traditional methods of antique cypress barrels while the enzymes are improved by modern Japanese technology. Vitalzyme is suitable for everyone to boost their immunity as well as provides antioxidants, vitamins and minerals to our body for stronger and healthier physical. 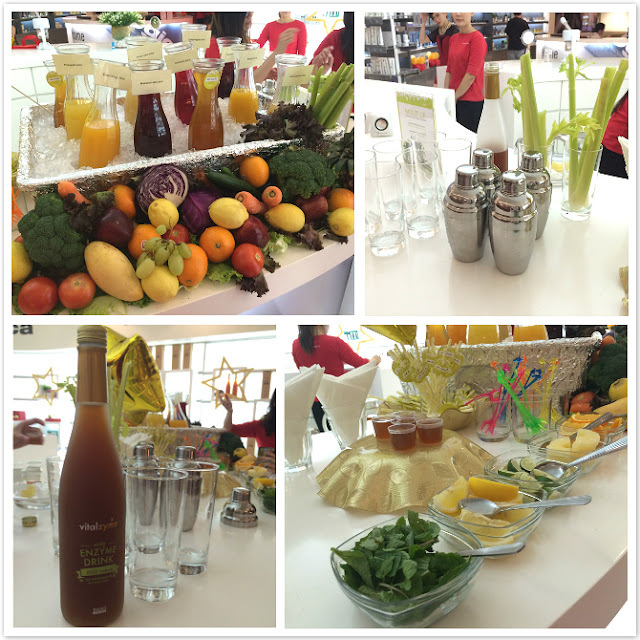 All of us get to curate ourselves a glass of Vitalzyme with our preferred juices during the event. My glass of Vitalzyme: Vitalzyme, lemon juice, cranberry juice and mint leaves! 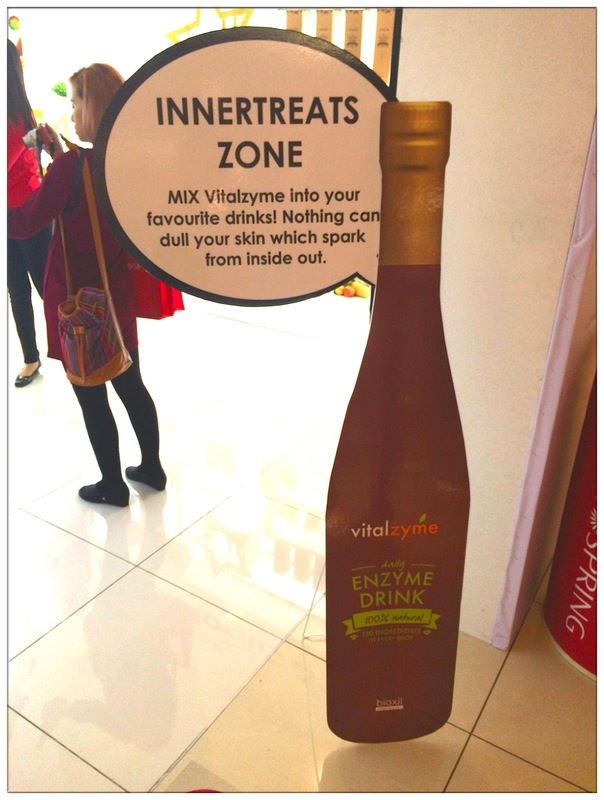 This glass of Vitalzyme totally suits my taste! I like anything sourish, it helps refresh my senses and taste buds, of course, I kinda link sour to "non-fattening" and also helps slimming down. Hahahaha. 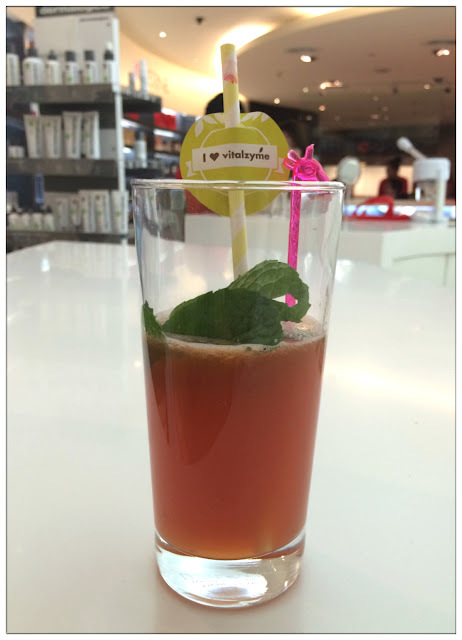 I bet it would be great to drink a glass of Vitalzyme every morning as a great kickstart of the day. 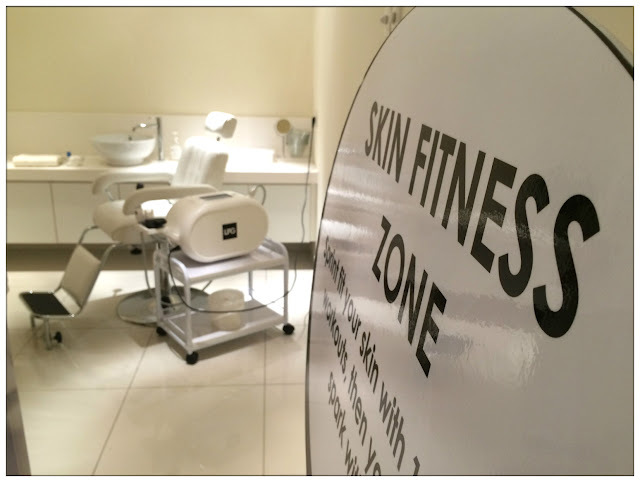 My second stop will be the Skincare Zone. Well, I thought I knew what I knew about my skin, but guess this skincare zone proved that I was wrong. 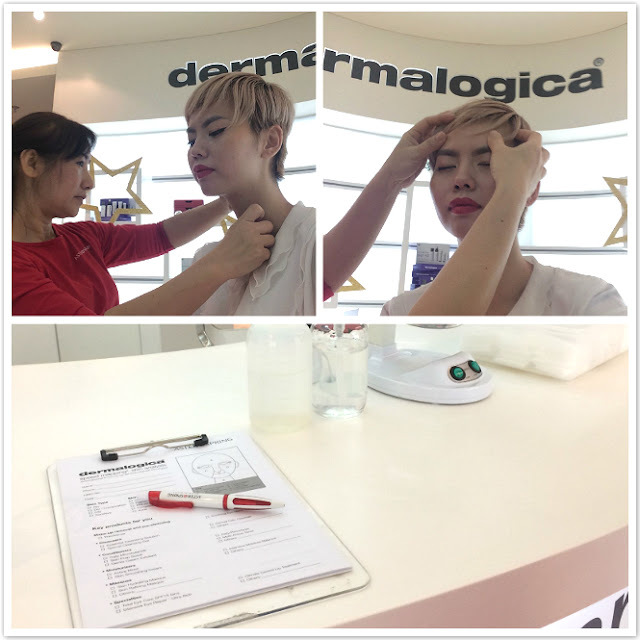 As skin changes along with the hormones in your body and also weather and environment, I will never know what are the changes that my skin is going through and it is always good to keep updating yourself of your skin condition by getting your skin checked by Dermalogica's staff. I've got combination type skin which make it harder to deal with. My skin needs extra care at some areas and little less attention at some, and the staff kindly suggested that I do light exfoliation every 2 to 3 days to keep my skin fresh and anew, so that the oily skin areas can take a breathe for lessen up dead skin cells that's been piling up and also unclog the oily pores. She suggested that Daily Microfoliant from Dermalogica is able to help better my skin condition. 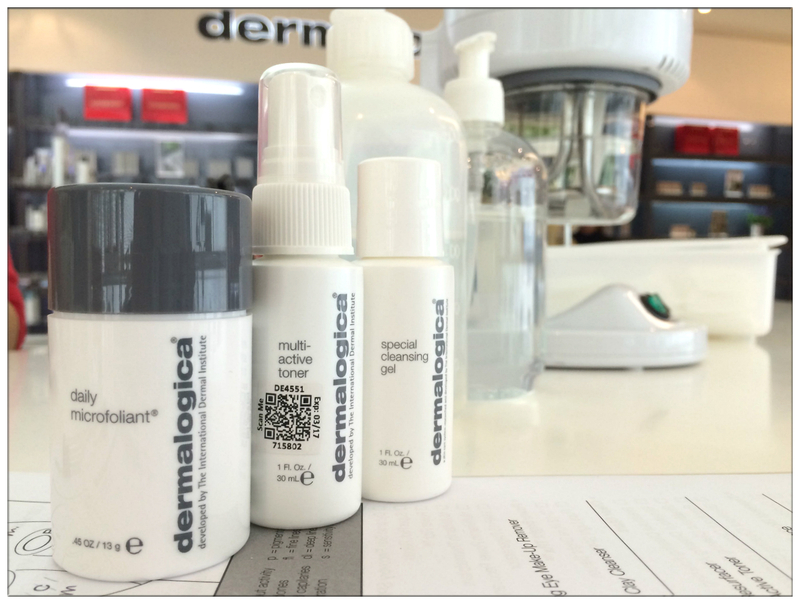 I'm not a big fan of Dermalogica due to unfamiliarity towards the brand but most of my friends are! They've been using Dermalogica for quite some time and I've heard positive comments bout the brand now and then. It is a number one brand when it comes to professional skincare industry and has been around the market for 29 years, established positive results in improving skin health and also through education, innovation and professional recommendation. 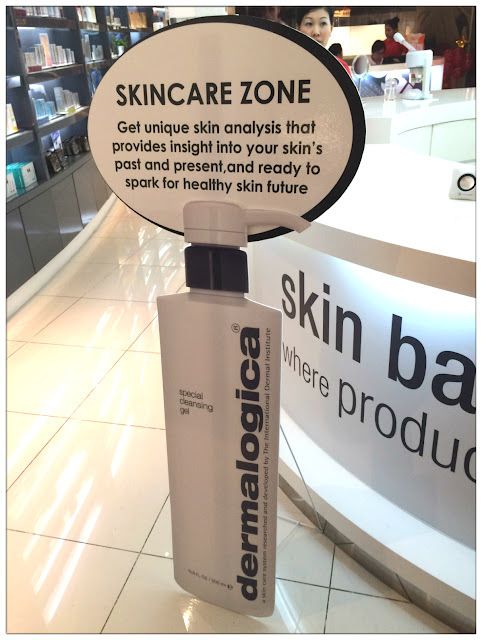 Its plain design proves that Dermalogica achieved their goals by real result instead of marketing and packaging, and it is a product free from common irritants that prones to breakout such as lanolin, SD alcohol, mineral oil, artifical colors and fragrances. Hence Dermalogica is proven to improve the condition of your skin and also available at qualified skin therapy professionals such as AsterSpring centres. 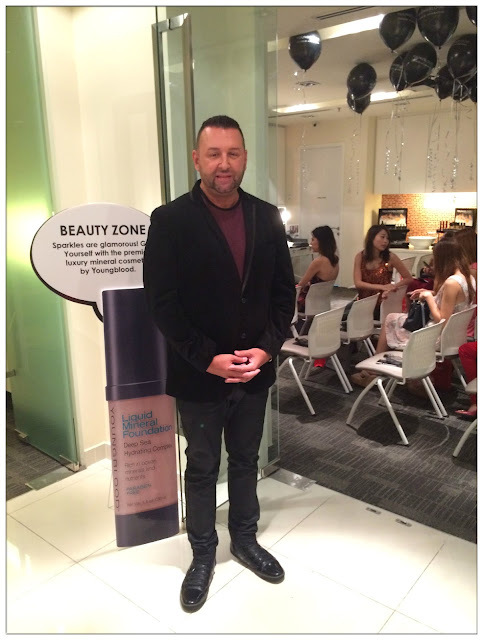 Right after Skincare Zone, I was greeted by a bunch of happy, bubbly staffs and guess what, it is Skin Fun Zone next! Each of us were given three rings to toss at the board and you can win yourself your favourite products that are currently available at AsterSpring. I've only managed to get one out of three rings lol but it was an Aroma Smoothing Treatment session! Woohoo! Can't wait to try out their treatment session soon. Next is mark my favourite zone of all - Relaxing Zone. I've lost track ever since when, massage has become one of my favourite relaxing moment when it comes to revitalising and rejuvenating my body and mind. This Relaxing Zone made me miss Thai massage even more! My my she has a pair of soft and gentle hands and yet she manage to find those tired spots and nerves of mine and soothe them out with massage and also using Tisserand Aromatherapy oil. 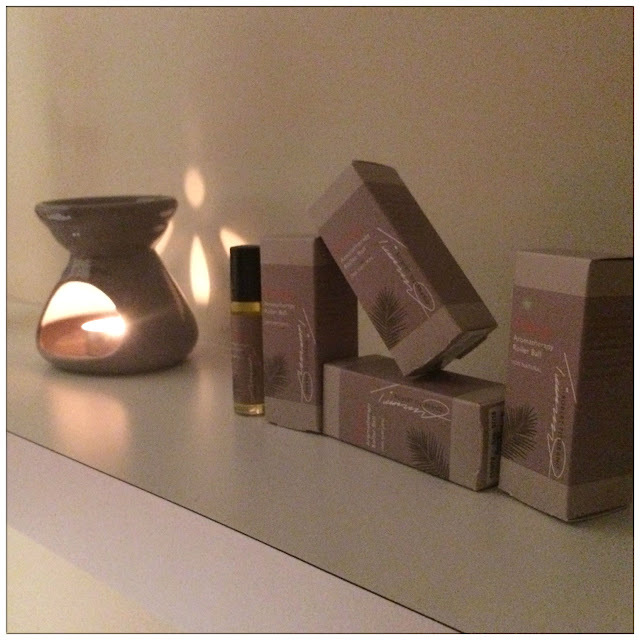 The award winning Tisserand essential oil is 100% pure organic, wild-crafted and ethically-harvested. 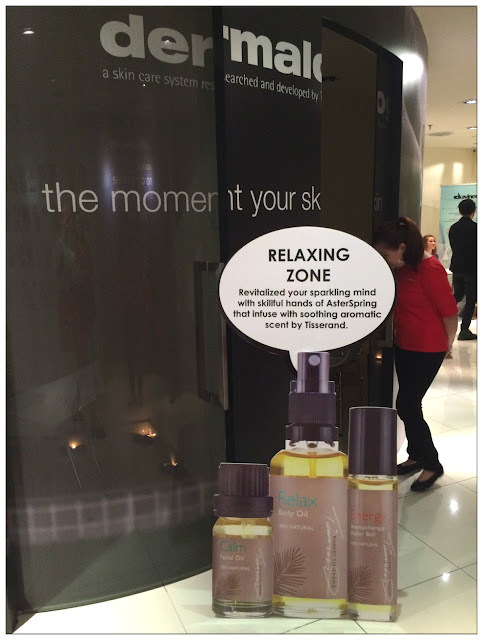 It was the number 1 therapy-based brand back in UK and can be found across Europe in over 20,000+ stores! While massaging, my masseuse asked me if recently I was sleep-deprived or stressed-out, that pretty amazed me as I was really undergoing stressful environment and insomnia attacks during that time, and she recommended me the Sweet Dream aromatherapy roller ball to help me get a good night sleep. I'm so thankful for her concern and kindness of my well-being. The Sweet Dream aromatherapy roller ball I got has calming and soothing effect due to its contain of jojoba, lavender and ylang-ylang oil, which promotes relaxation and is ideal when you need a good night sleep or some off-time for yourself. Rolling it on your pulse point like the back of your ears, inner wrist or even on forehead. It is none-greasy and puts you into a relaxation zone that I very much enjoyed ever since I got it from the event. Gosh am I seeing a dentist or something! NOOO!!! It is not about dentist, but rather a comfortable sofa chair for you to sit on and let the machine do their job so your skin can be firmer than before. What? Just by sitting on the chair and skin can gets firmer? How does that even logical! 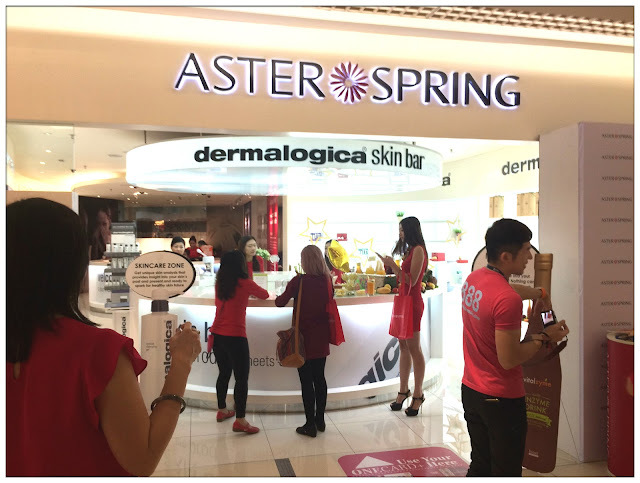 Yes it is true - by using the modern Endermologie treatment of Mobilifit M6 by LPG introduce by AsterSpring into Malaysia skin wellness market. Endermologie treatment of LPG system is a cellulite treatment system that combines firm massaging, rolling and sucking at the skin surface to attempt breaking up the fat cells that's caused cellulite dimpling and gathering. The skin of my hand was so soft and smooth after the treatment I just can't stop myself from touching the skin myself. 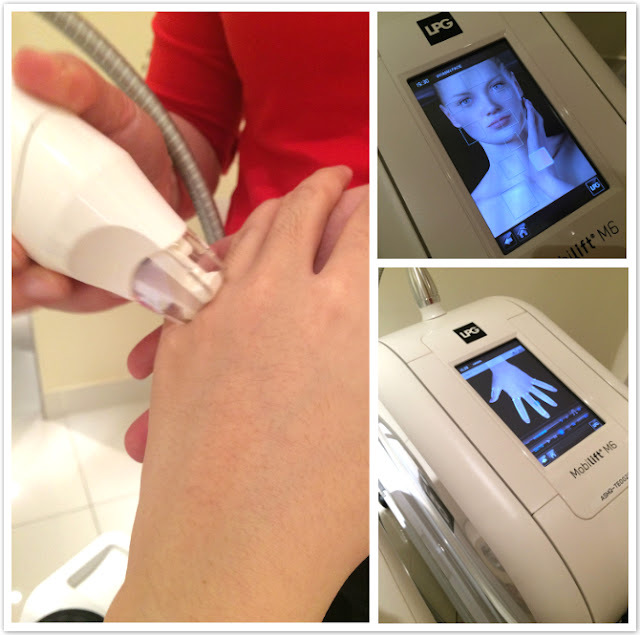 It is a pain free, relaxing treatment which you can see the result in 10 minutes, almost instantly compare to other traditional and complicated procedure. It is also 100% natural without any usage of medication or oils, because by undergoing this treatment, it will increase the hyaluronic acid synthesis by 80% naturally, giving you soft and smooth skin that will amaze you. 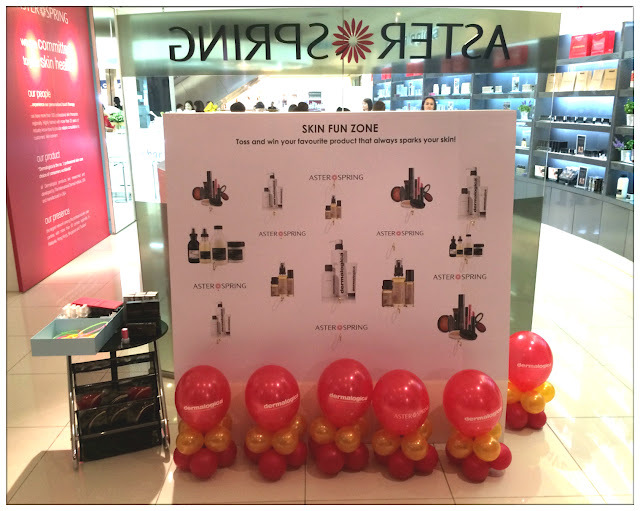 The machine is only available in selected AsterSpring centre, be sure to check out this advance technology of beauty innovation. And the result is quite promising! I don't have hair loss problem, and I guess my hair growth is in a pretty healthy state despite I've been bleaching my hair for more almost two years. My only concern is that my bleached hair are getting brittle, pretty damaging if not taking good care of it. 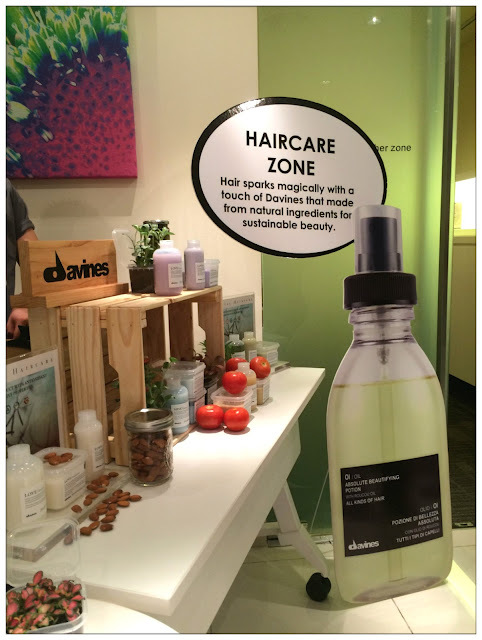 Thanks to staff of Davines gave me some moisturizing shampoo and conditioner to try at home. Founded in Parma, Italy in year 1983, Davines is one of the leading professional hair brands which are available in more than 80 countries. 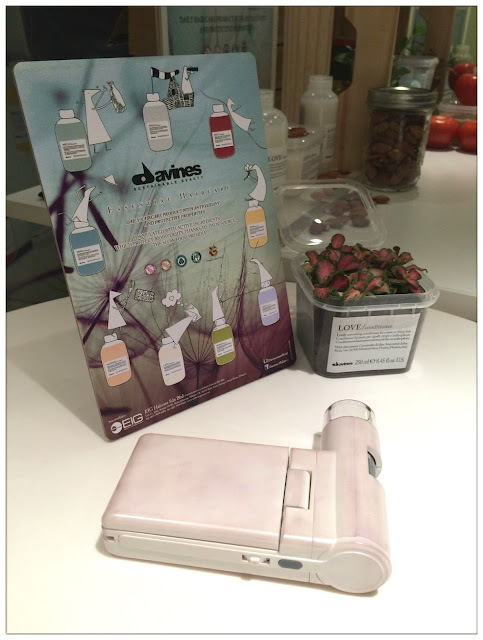 They create their products with attention and respect for environment, using only high grade, natural ingredients and strive to deliver products that connects their customers through the balance combination of scientifically, naturally and emotionally. Many didn't realize actually how lucky they are for not having allergic reaction towards cosmetics (people who are lucky like me) and this is why Pauline Youngblood, a paramedical aestheticians from California decided to create mineral cosmetics that actually protects skin cells and tissues. 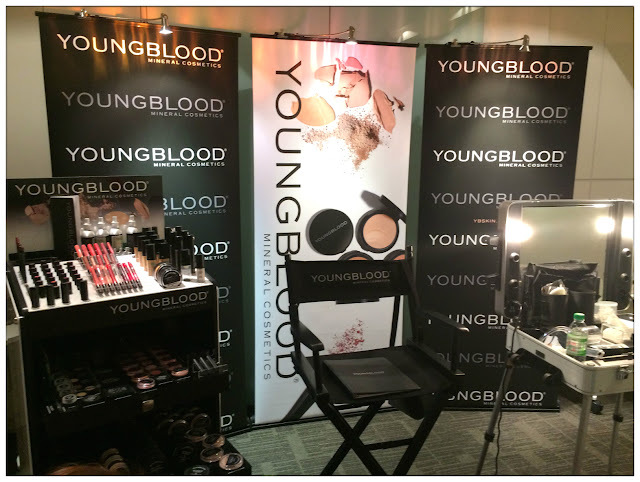 Using minerals like Malachite, Rhodolite, Hermatite and Zincite, paraben free, cruelty free, talc free, fragrance free, oil free, gluten free and using vegan products, YoungBlood mineral cosmetics has become a big hit in USA they are even appointed as official cosmetics for KARIGAM in New York Fashion Week! 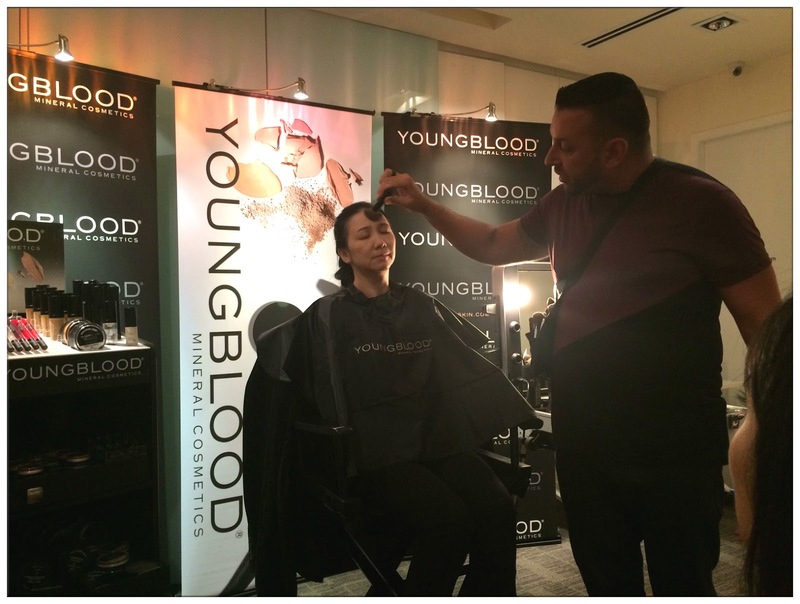 It is through the makeup demo by Philip only I realize how powerful the coverage of YoungBlood mineral cosmetics is. It is lightweighted and yet gives full coverage to your skin, protects you skin and make you look beautiful at the same time. They provides a full range of cosmetics that you can choose from and able to create any looks you like from their products. I'm so, so, so close into getting their eyeliners already! Same goes to Freda in purchasing their foundation set. The Sparkling Secret's journey ended with a short makeup competition where we can create our favourite makeup looks by using YoungBlood makeup. 5 girls a team trying to doll up an AsterSpring staff, kinda tortured by us I guess hahahaha sorry! Anyway it was fun to help others do their makeup, especially with full range of products available for me to choose from weeeee!!! 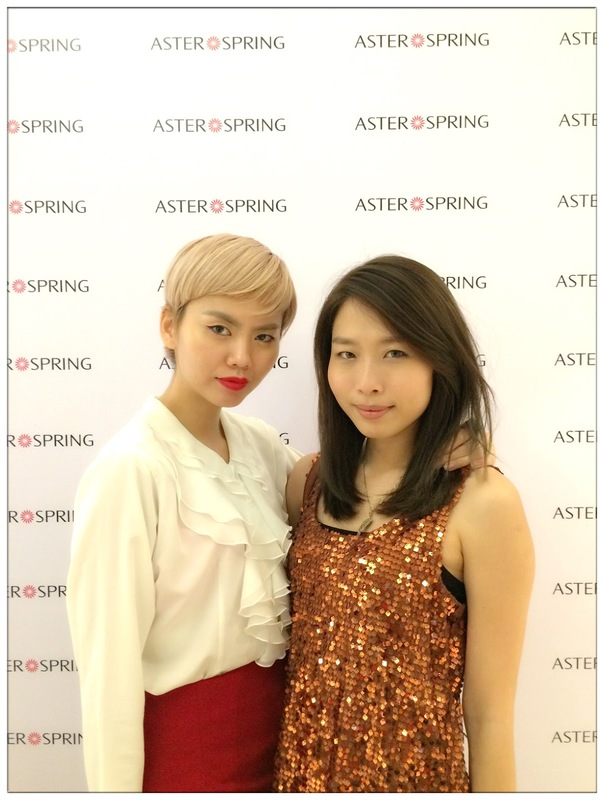 Thank you so much AsterSpring for this wonderful Sparkling Secret journey. It has once again taught be to be beautiful from inside out and I'm definitely gaining more knowledge about the products as well as skincare tips than before. Always a fun one when you get to be beautiful together with your friend ain't it?